Palladot™ Gemstone. I encourage you to watch it on YouTube (link found below). That part can be found at about the 40 minute mark of the episode. Out of those 100, only a handful contain gem quality olivine crystals. 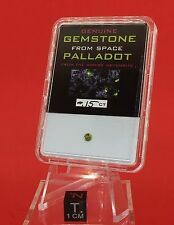 Peridot Gem Mix Parcel Lot over 100 carats. Peridot Parcel Lot. CUT: Faceted. SHAPE: Mix. COLOR: Green. APPROX WEIGHT: 100 ct. The world’s largest deposit of Peridot. WEIGHT: 2.33 Ct TW matching pair. MATERIAL: Natural untreated OLIVINE - PERIDOT. Typically found in b asic and ultra basic igneous rocks. CLARITY SCALE: From best and cleanest with no visible inclusions (FLAWLESS) to heavily included (P3):FLAWLESS - VVS1 - VVS2 - VS1 - VS2 - SI1 - SI2 - P1 - P2 - P3. 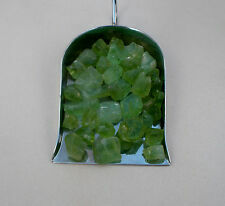 Over 100 carats Peridot crystal rough gems-----great for wire wrapping ! Peridot Gem Lot. APPROX WEIGHT: 100 total carats. SHAPE: Rough and Crystals. COLOR: Green. CUT: Faceted. Photos greatly magnified for better viewing. (The world’s largest deposit of Peridot. WEIGHT: 2.14 Ct TW matching pair. MATERIAL: Natural untreated OLIVINE - PERIDOT. Typically found in b asic and ultra basic igneous rocks. Olivine is suitable for a careful or occasional jewelry wear). Loose Diamonds & Gemstones. AUG Peridot. NOV Topaz & Citrine. OCT Opal & Tourmaline. MAR Aquamarine. Belt Buckles. JAN Garnet. Shape/Cut: Pear. 1.39 ct Precision cut Arizona Peridot. Natural, clean and untreated loose gem. A classic natural green Peridot from Arizona, with a very interesting "floral" pattern. Origin..Arizona, USA. Size (mm)..6.9 (side to side) x 4.6 (depth). CLARITY SCALE: From best and cleanest with no visible inclusions (FLAWLESS) to heavily included (P3):FLAWLESS - VVS1 - VVS2 - VS1 - VS2 - SI1 - SI2 - P1 - P2 - P3. The world’s largest deposit of Peridot. Over 50 carats Peridot crystal rough gems-----great for wire wrapping ! Peridot Gem Lot. APPROX WEIGHT: 50 total carats. SHAPE: Rough and Crystals. COLOR: Green. CUT: Faceted. Photos greatly magnified for better viewing. (MATERIAL: Natural untreated OLIVINE - PERIDOT. Typically found in b asic and ultra basic igneous rocks. The world’s largest deposit of Peridot. Olivine is suitable for a careful or occasional jewelry wear). (The world’s largest deposit of Peridot. MATERIAL: Natural untreated OLIVINE - PERIDOT. Typically found in b asic and ultra basic igneous rocks. Olivine is suitable for a careful or occasional jewelry wear). WITH MINERAL COLLECTION IDENTIFICATION DOCKET MF9814. STONE : PERIDOT [OLIVINE, CHRYSOLITE]. NATURAL MINED UNTREATED TRANSPARENT WITH INCLUSIONS. 15 Peridot Square Loose Gems 3mm each. CUT: Faceted. SHAPE: Square. COLOR: Green. PERIDOT-ARIZONA 2.54Ct CLARITY SI2+SLIGHT SILK-OLIVE GREEN COLOR-CALIBRATED! (The world’s largest deposit of Peridot. Ask your local jeweler for details). MATERIAL: Natural untreated OLIVINE - PERIDOT. Typically found in b asic and ultra basic igneous rocks. Olivine is suitable for a careful or occasional jewelry wear). 12mm x 6mm PEAR CUT. NATURAL PERIDOT GEMSTONE. Beautiful natural rich bright green peridot with good colour, cut & polish. For your consideration is this brand new NEW! Manchurian Peridot Average 2.00ct 10x8mm Oval Loose Gemstone as follows: ITEM: Loose Gemstone STONE: Manchurian Peridot COLOR: Vibrant green SIZE: Average 2.0 ct / 10X8 mm SHAPE: Oval OTHER INFO: From northeastern China's lush Manchuria region; originally purchased on jtv (PEV013) Check my store for similar merchandise. I combine shipping at a discount whenever possible. (The world’s largest deposit of Peridot. SIZE: 6 x 4 mm. Ask your local jeweler for details). WEIGHT: 3.23 Ct TW – 7 pcs. MATERIAL: Natural untreated OLIVINE - PERIDOT. Typically found in b asic and ultra basic igneous rocks. 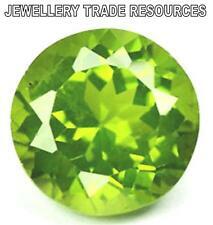 10 LOOSE NATURAL PERIDOT ROUND GEMS 3MM EACH. SHAPE: Round. NUMBER OF STONES: 10 piece. CUT: Faceted. COLOR: Green. This beloved gemstone's popularity reaches back to the Middle Ages. These shimmering, delicate green peridot chips have good clarity. For a 'hot' modern look, combine peridot with amethyst. Bead, peridot (natural), 2-3mm hand-cut round beads. C grade, Mohs hardness 6-1/2 to 7. Sold per 14-inch strand. *Please consider the actual sizes given in the listing as the pictures are generally enlarged to show detail. *Final stock. .
CUT: Faceted. SHAPE: Heart. GRADE: AAA. SIZE: 4 mm each. 7.75x7.75mm round brilliant cut 1.60 carats Peridot single gemstone from Changbai in China. Changbai Peridot is considered the finest variety of this unique gemstone. Peridot (a nesosilicate) is a gem-quality variety of the mineral Olivine. 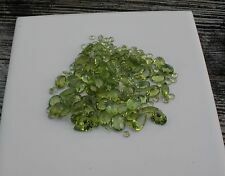 25 LOOSE NATURAL PERIDOT ROUND GEMS 3MM EACH. CUT: Faceted. SHAPE: Round. NUMBER OF STONES: 25 piece(3.2tcw). COLOR: Green. 6 LOOSE NATURAL PERIDOT TRILLION GEMS 4MM EACH. SHAPE: Trillion. CUT: Faceted. COLOR: Green. LUSTER: Nice. (CUT: TRILLION Brilliant. The world’s largest deposit of Peridot. WEIGHT: 1.90 Ct TW 4 pcs. MATERIAL: Natural untreated OLIVINE - PERIDOT. Typically found in b asic and ultra basic igneous rocks. Olivine is suitable for a careful or occasional jewelry wear). Unheated / Untreated Oval Cut Green Peridot Huge Loose Gemstone. Shape Oval. 100% Natural Genuine & Mined from Earth Gemstone ! Weight 9.85 ct. Size (LxWxD) 14.83 x 10.92 x 7.08 mm. Color Green. Color may not appear exactly as in real life due to variation between computer monitor resolution and lights. 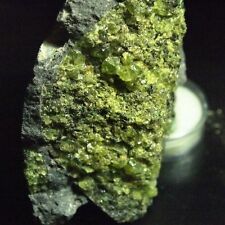 PERIDOT / OLIVINE-ARIZONA 1.60Ct FLAWLESS-APPLE GREEN COLOR-FOR JEWELRY! (MATERIAL: Natural untreated OLIVINE - PERIDOT. Typically found in b asic and ultra basic igneous rocks. Olivine is suitable for a careful or occasional jewelry wear). The world’s largest deposit of Peridot. 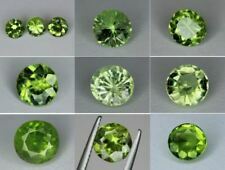 SPARKLING CLASSIC GREEN IN COLOR AND NICELY CUT THESE EXCELLENT PERIDOT GEMS ARE NICE. BETTER IN PERSON THAN PHOTO. AVERAGE WEIGHT IS. 73 cts EACH FOR STONES THIS SIZE. THIS IS A NATURAL EARTH MINED STONE FROM ARIZONA AND CUT IN THAILAND. This is a great looking GREEN PERIDOT and is over 2 1/2 carats. Peridot Gemstone. Gem Origin So purchasing gemstones here ismuch safer. VERY FEW SMALL INCLUSIONS CAN BE SEEN BY THE NAKED EYE AT VERY CLOSE RANGE. 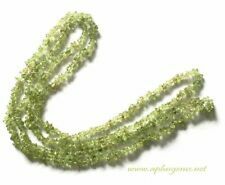 Over 500 carats Peridot crystal rough gems-----great for wire wrapping ! Peridot Gem Lot. APPROX WEIGHT: 500 total carats. SHAPE: Rough and Crystals. COLOR: Green. Photos are samples of what you can expect to receive. 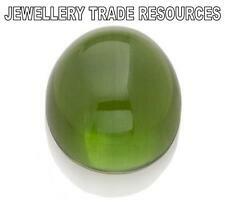 Beautiful natural rich bright green peridot with good colour, cut & polish. 10mm ROUND CABOCHON CUT. NATURAL PERIDOT GEMSTONE. 100% Natural Rotiled Peridot of 17.20 crt frm Pakistan, big size, nice cutting. It's a 100% Natural Rotiled Peridot frm Pakistan, weight 17.20 crt, big size, top colour, nice cutting, gaurantied natural. Peridots are August stones.A very powerful healer. 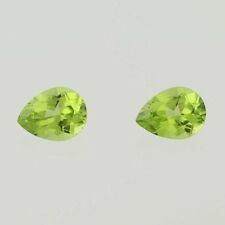 PERIDOT / OLIVINE-ARIZONA 2.86Ct TW MATCHING PAIR-NATURAL UNTREATED GEMS!